Simpson Millar’s dedicated holiday lawyers can help you claim the compensation you deserve from your tour operator if you were exposed to poor hygiene and suffer illness as a result. If your holiday with First Choice – Jet2holidays – Cosmos – Thomson or any other tour operator was spoilt by food poisoning our holiday travel lawyers can help. Diagnosed with E coli food poisoning in Crete? Poor hygiene and cryptosporidium illness advice! Compensation claims – sick and ill in Greece? Simpson Millar LLP's Holiday Complaints Lawyers specialise in Crete illness claims and we pursue holiday food poisoning claims on a no win no fee basis. Crete Illness – We are the Holiday Hotel Watchdog! If you know about a hotel in Crete where there has been an outbreak of illness due to food poisoning or a dirty swimming pool, please call our lawyers and we will investigate your complaint. Travellers to Crete who return home and are diagnosed with food poisoning from Salmonella, E. Coli, Campylobacter or any other nasty bacterial infection are often able to claim compensation pursuant to the 1992 Package Travel Regulations. Holidaymakers who book and pay for flights and accommodation with the same tour operator, and pay for their holiday at an all-inclusive price are protected by power consumer protection regulation if things go wrong. Crete is the largest island in Greece with a beautiful 1,000 kilometre-long Mediterranean coastline which is home to numerous coves, sandy beaches and peninsulas. The soft golden beaches, a guidebook of historical sights and its mouth-watering cuisine has established Crete as one of Greece’s most popular tourist destinations for UK travellers. Crete is historically important as it is the home of the Minoan civilization with impressive archaeological finds at Gortys, Knossos, and Phaistos. What happens if things go wrong and your holiday is marred by sickness? Please contact one of our travel lawyers for advice on making a claim for the compensation you deserve. Our specialist Crete Holiday Illness Compensation Lawyers monitor the following tour operators and hotels listed below for food poisoning, cryptosporidium, and a wide range of known sickness bug. How do I claim compensation from Olympic Holidays if I was ill at one of these hotels? 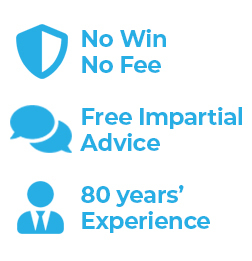 It may be possible to bring your claim in England or Wales and we offer free initial advice on the telephone to decide if we can help you, at no cost to you. If I was ill at one of the hotels listed, how long will a claim take to process? It depends on the circumstances, the nature of your illness and the holiday company involved. We will ensure that your claim is completed as quickly as possible but each case is different. If I suffered E. coli whilst on holiday with Olympic Holiday, how long will the symptoms last? E. Coli Fact: The first symptoms of E. coli usually appear between 2 and 3 days after exposure to the bacteria, although the incubation period can range of 10 hours to about 7 days. Cosmos Complaints, Sickness and Food Poisoning – Hotel’s we Watch! Where will I have contracted cryptosporidiosis whilst on a Cosmos Holiday? How much is my claim for illness on holiday worth? The amount of compensation we recover for you will largely depend on the duration of your illness, the severity of your symptoms, and the value of any financial expenses sustained. Will my Jet2Holiday be spoilt by Salmonella Food Poisoning? Salmonella Fact: The symptoms generally appear one to three days after exposure. After an episode of salmonella about 1% of adults and 5% of children aged less than 5 years will excrete the organism for up to 1 year, but general they pass within 7 days so the majority of your holiday will be marred by the illness. Orion Hotel Panorama Hotel Iberostar Creta Panorma Royal Beledere Iberostar Hemes Hotel Iberostar Mirabello Hotel & Village Sea View Hotel Imperial Beledere Louis Creta Princess Hotel Sunshine Village Lyttos Beach Hotel Nana Beach Hotel Selina Suites Sensatori Resort Crete The Island Hotel. How did I contract Shigella on First Choice or Thomson holiday? Shigella Fact: Shigella bacteria are found in the faeces of infected holidaymakers or hotel staff who in turn may contaminate food, water or surfaces (e.g. the flush handles). The shigella bug is spread by consuming contaminated food or water prepared by an infected person without adequate hand washing. How do I know if I have ingested campylobacter on a Thomas Cook Holiday? Campylobacter Fact: Campylobacteriosis may cause mild or severe diarrhoea, often with fever and traces of blood in the stool (faeces). At Simpson Millar Solicitors our experts regularly claim compensation from tour operators on behalf of holidaymakers who have endured gastric illness in Crete whether it’s E coli or Salmonella or another infection. Our skilled legal experts have worked for most of the major tour operators including: Thomas Cook; Thomson; Jet2 Holidays; First Choice etc. and we know how to successfully claim compensation for those who were ill whilst on holiday in Crete, Greece. Call us today on 0808 145 1353 or contact one of our Holiday Illness team by simply completing our holiday enquiry form. With offices throughout the UK and experts worldwide you get the reassurance that your compensation claim will be handled by those who have worked in the holiday industry for over 10 years.